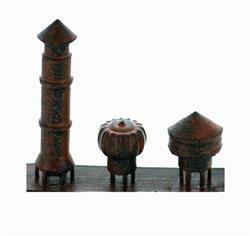 HO Scale Super Detailing for your Structure Rooftops and walls and Creative Interior Building Detailing. 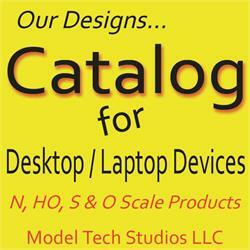 Super Detail your Structures the Model Tech Studios way !!! Stack-A-Rack system. 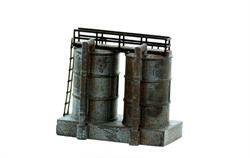 HO scale detailing for your Oil Drum Storage. You can stack them as high or linearly as long as you want to fill the desired area being detailed. Totally modular. Use for Barrels, Oil Drums or Beer kegs. HO scale Details. Stack-A-Rack system. Totally modular. HO scale detail for your Wood Barrel Storage. You can stack them as high or linearly as long as you want to fill the desired area being detailed. Use for Barrels, Oil Drums or Beer kegs. HO scale Details. HO Scale Detail Merchant Shelving, Loaded with Goods for sale. 2 Pack comes detailed and Finished for you. 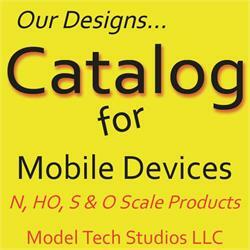 Detail your storefronts, general store, drug stores, gas station scenes etc. 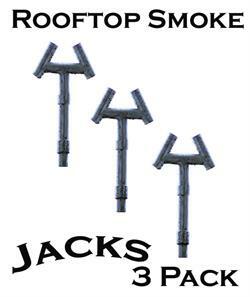 Popular Smoke Jack Style Roof Vents.....Used on both Buildings and Boats as Rooftop Exhaust Stacks. 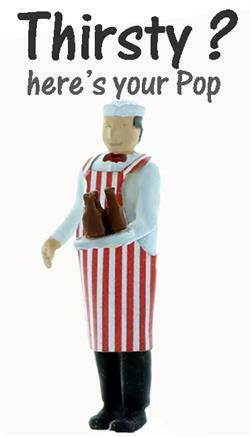 They come in a 3 Pack and are all Finished for you in HO Scale. 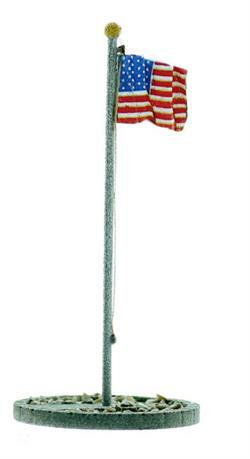 BULK PACK SPECIAL of 8 Lamp Shades are wired with Long Lasting LED's. 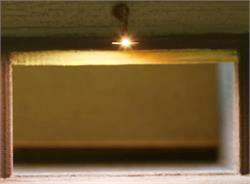 Perfect for over a loading door as shown in the picture....or any other Building Wall use. 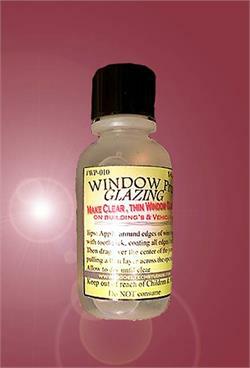 They don't build up heat when operating so they are good for any building material. 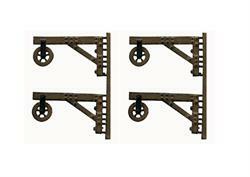 4 Pack of Building Wall Hoists in HO Scale. 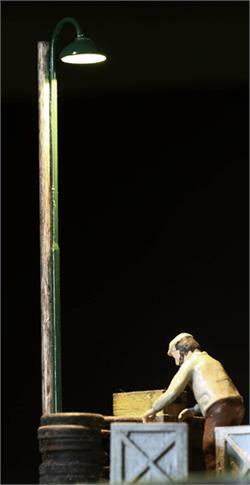 They come finished and ready to mount on your Structure walls. Very nicely detailed down to the bolts ! 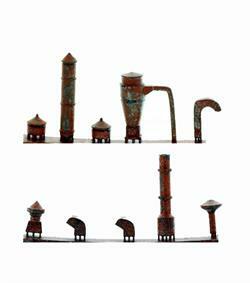 3 chimney's in HO Scale come FINISHED and ready for your rooftops. 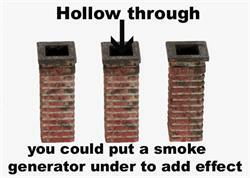 They are hollow through too so you could even put a small smoke generator under them to have smoke coming out for effect. Twin Steel Tanks with Piping come Pre Built for you (only Handrails need to be attached on walkway). Great Industry / Factory HO Scale Rooftop Detail. Tanks could be Water or Chemical tanks to supply factory. 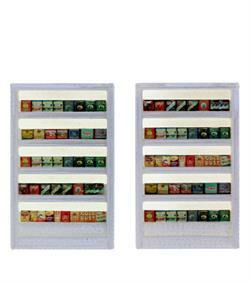 HO Scale Air Conditioners for Building Windows or Wall, 4 Pack, 2 Sizes Included. 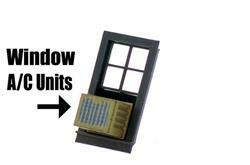 Have these Air Conditioner units hanging out of your Building Windows. 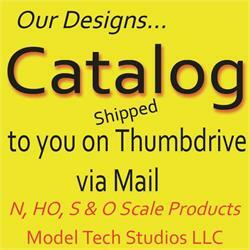 Supply your HO scale Building's with their Fuel. 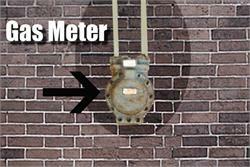 These Gas meters are perfect for Commercial building's, Residential, tenements etc. We also offer a larger Industrial Style for Industry Structures. 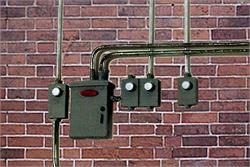 Bring Power Detailing to your Structures....Detailing includes, Single, Double and Triple Power Meters, Junction Box and Power Heads plus Conduit. 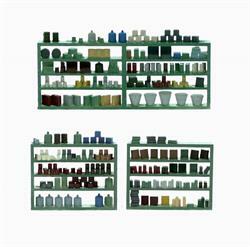 12 Pieces in Set HO Scale to create any Configuration you need...completely modular for easy use !